A budget friendly place with an in-house restaurant that serves mouth watering dishes. 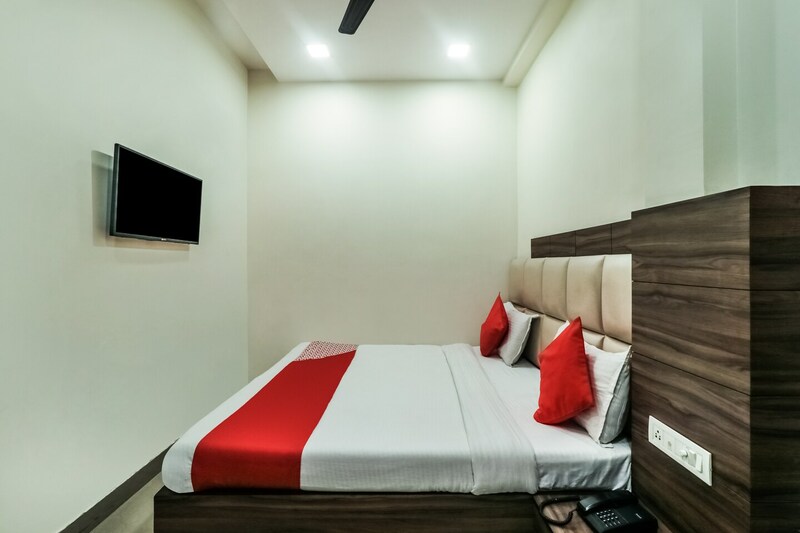 Hotel Metro View is quite a popular name among travellers visiting Jaipur and looking for comfortable accommodation facilities without feeling a pinch in the pocket. The rooms have been decorated very beautifully and have a homely feeling. The rooms are painted in vibrant colors that soothe the nerves of the guests and some walls have been adorned with quirky designs. All rooms are well-furnished and a lot of woodwork is involved in the interior decor of the room. The wise use of artificial lights makes the rooms well-lit. The additional features provided by the hotel are an elevator facility, card payment in all forms, parking provisions, a constant power backup supply, and free Wi-Fi. The in-house facilities comprise a common dining area, a restaurant, and a common lounging area where guests can relax and rejuvenate after a long day.